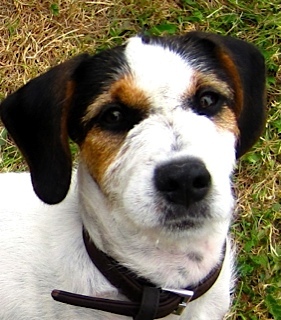 Spike the dog, was on the original ebook cover. She is Hattie, a remarkable animal who jumps around all over the place. There is great freedom for a dog like her, at the farm where she lives. Hattie has a job to do, looking after Enzo, an old Weimaraner who is blind. Where Hattie goes, Enzo follows. As you can see, Hattie is very much alive. Every book needs an animal, at least mine do, even though I don’t want a pet. Now the cover has been professionally illustrated and the ebook handed over to the publishers. The paperback is on troubador and amazon from 1st September. The ebook to follow shortly afterwards. The early experimental days of the book I tried doing everything myself and uploading it to Amazon as an ebook. 600 copies were downloaded with positive feedback. Now I have handed it over to the professionals and temporarily removed it from Amazon. The next few weeks should be interesting as they make a new cover and do everything else except social media and some marketing. Thanks to Hattie for appearing on the original trial cover, but I think this is goodbye. I hope dog lovers will enjoy this book when it comes out on September 2015. But be warned, it might make you cry. Update September. At last the paperback is out and the ebook available. They can be ordered from Amazon, Troubador publishing or from W H Smiths or Waterstones etc. If you like romantic comedy that is much more than that you might like to read the book.